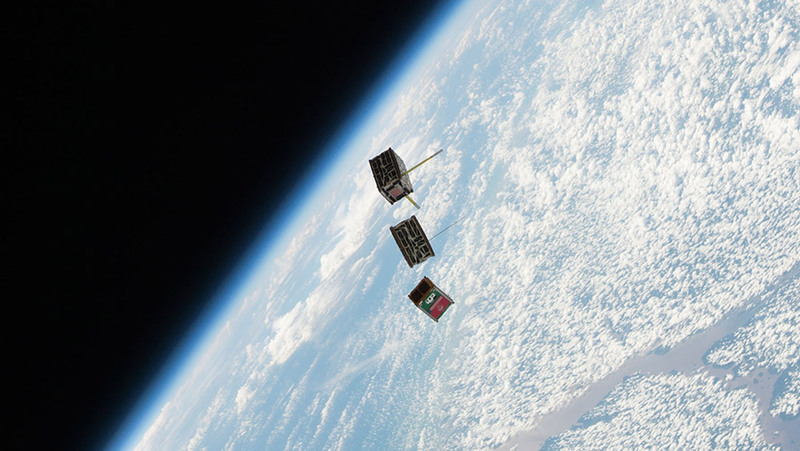 CubeSats fly free after leaving the NanoRacks CubeSat Deployer on the International Space Station earlier in the week. Cargo transfers are over half way complete as the Cygnus commercial space freighter targets a mid-June departure from the Unity module. The Canadarm2 robotic arm will link up with the DEXTRE robotic hand tonight. Robotics controllers will then conduct a video scan of the external RapidScat system that monitors weather patterns on the Earth’s oceans.